In part one of our two-part feature 9Bach play Gwydr Glas from their self-titled début album. After the song, Lisa Jen and Martin Hoyland talk to Bright Young Folk about the track, why the Welsh ballads shouldn’t be allowed to die and the trauma of singing in the Eisteddfod as a child. 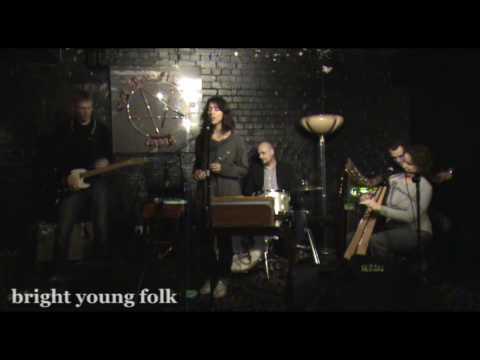 In part two, published on the 15 January 2010, they play Bwthyn fy Nain. Recorded at the Electroacoustic Club at London’s Slaughtered Lamb on 7 December 2009.